Neil Young discusses the International Harvesters band and his new archives release, A Treasure. More background on A Treasure, Release Details on A Treasure and Tech Notes Preview Video. 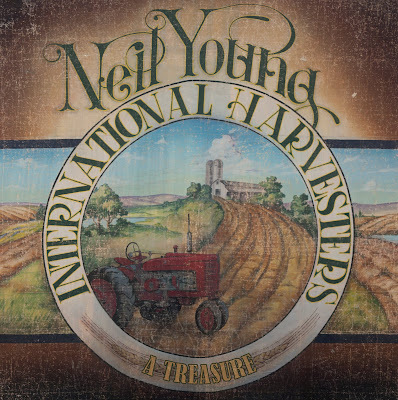 Also, see Meta Review: A Treasure - Neil Young & The International Harvesters. This record is really cool. Love Southern Pacific, Grey Riders especially! "One of these days, I'm gonna sit down and write a long letter..."
That video is a treasure too. What a great testament to the life and times with his friends. A country gentlemen he is. I got to see Neil and The International Harvesters in Rochester N.Y. 1985. I am looking forward to the release of their 20 minute version of "Down By The River". Trunks of Memories still to come! Doug S. Western N.Y. Does anyone have any information on where and when Neil's sharing took place? Does anyone know what version of "Down By The River" Neil may be referring to? I heard a version from the International Harvesters on RustRadio that had to be about 20 minutes and it was one of the greatest things I've ever heard in music. Mind-blowing is an understatement! I watched neil at the cne in toronto with the harvesters. His performance of down by the river is still stuck in my mind.26 years later. He broke nearly every string by the end. I gotta see it one more time.